The Senate confirmed by voice vote Wednesday night President Trump’s nomination of Jeff Pon to be director of the Office of Personnel Management, officially ending a months-long standoff over his nomination. OPM's last permanent director, Katherine Archuleta, resigned in July 2015 and since then, the agency has been led by a series of acting officials. Kathleen McGettigan has been in charge on an acting basis during the Trump administration. The White House initially nominated George Nesterczuk, who helped develop a failed attempt to implement pay for performance at the Defense Department during the George W. Bush administration, but Nesterczuk withdrew his name from consideration after a backlash from federal employee groups and background check concerns. Pon, who most recently was the chief human resources and strategy officer at the Society for Human Resources Management, was nominated to lead OPM last September. But at a confirmation hearing in October, Senate Homeland Security and Governmental Affairs Committee Chairman Sen. Ron Johnson, R-Wis., threatened to hold up Pon's nomination until OPM responded to document requests regarding officials' 2013 decision to allow congressional employees to purchase health insurance on the D.C. Small Business Health Options Plan exchange and receive an employer subsidy. Johnson eventually subpoenaed OPM for the information, and last month he advanced the nomination out of committee, saying the agency has cooperated with his request. 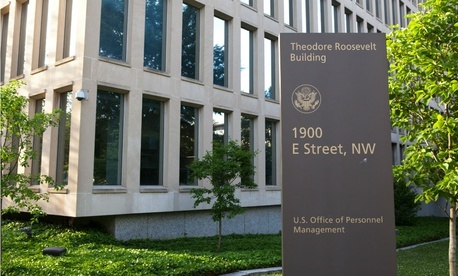 Pon’s confirmation comes as OPM is seeing a spike in federal employee retirement claims and as the agency attempts to outline its vision for a proposed $1 billion interagency fund to improve performance by federal workers. Later this month, the White House is expected to unveil its management agenda, which likely will include proposals to implement performance-based pay.